Paragould, Arkansas USA - Allen a leader in professional quality site prep and concrete placing and nishing equipment, announced the debut of their newest form riding paver. 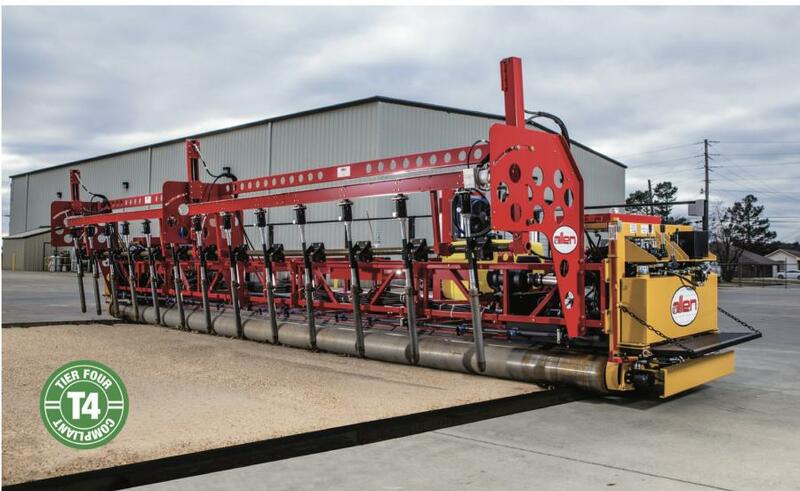 The 255T4 is a high production, triple roller tube paver that is great for concrete streets, parking lots, shoulders, ramps, approaches, air elds and more. The Allen 255T4 is a Tier 4 Final diesel powered paver that can do the work of larger more expensive pavers in many applications. This paver is easy to transport and setup due to having a lighter weight than traditional slip-form pavers. The 255T4 also supports our optional gang vibration system which helps properly consolidate the concrete during the paving process. Come see the 255T4 alongside other Allen equipment at Con-Expo/Con-Agg in Las Vegas, NV from March 7 - 11 in Booth #B7213.